Making a social statement, holdouts say "no" to Facebook, Twitter, etc. (CNN) -- Mark McSherry won't "friend" you and he does not "tweet." People who refuse to join sites like Twitter and Facebook have various reasons for holding out. The Brooklyn, New York, college instructor and admitted social networking "holdout" discourages his students from doing so. "I'm just an old timer warning people that your behavior in the past really can come back to haunt you," McSherry says. "I basically advise students that I wouldn't have a social networking page, but if you do, then be very, very, very careful what you post there." McSherry says he understands that there are privacy filters, but he fears that the anonymity of a young college graduate -- starting fresh in the world -- is gone. He doesn't understand why people spend so many hours sharing pictures and jokes. The holdouts are everywhere -- and many are not the technophobes you might think. Some see social networking as a waste of time. Others wish to remain private. Many are making a social statement by not joining. Even so, the phenomenon is undeniable. Social networking Web sites such as Facebook and MySpace are exploding in popularity. According to a Nielsen report, an estimated 13.9 billion minutes were spent on Facebook in April. 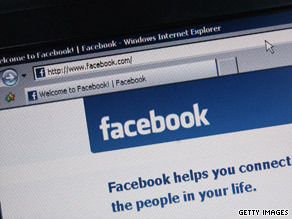 The latest figures show record traffic for social networking sites. ComScore reports 12 percent growth in the most recent month to nearly 140 million visitors, or nearly three-quarters of the U.S. online population. The fastest growing group is age 35 and older. But what those numbers also indicate is that at least 146 million Americans are not using social networking sites. Author and Harper's senior editor Bill Wasik says of Facebook holdouts: "For some of them it's a feeling of information overload, and for another group of people it's a feeling of wanting to hold yourself above that kind of conversation." Wasik says holdouts are not living off the grid; rather, they are the cyber equivalent of having an unlisted telephone number. According to Wasik, "Facebook and Twitter are both sites for over-sharers. Even if you think that the fact that you are eating a delicious sandwich is interesting to you, it takes a certain chutzpah to think that it's going to be interesting to other people. But that's sort of what Twitter is all about -- the idea that the thought you have in your head this very instant is going to be interesting to other people." Celebrities are among the holdouts. Zac Efron and Jennifer Aniston have said they will not join Facebook and Kanye West refuses to Twitter because he says someone sent tweets using his name. Last week, Britney Spears' and Ellen Degeneres' Twitter accounts were hacked into. Then again, Ashton Kutcher and Demi Moore have made Twitter more famous -- and vice versa. Lance Armstrong even announced the birth of his youngest child on Twitter. For now, however, the holdouts -- who are wondering whether it's worth all the hype in the first place -- are sticking to e-mail, telephone and face-to-face conversation. CNN's Joanna DiGeronimo contributed to this report. All About Facebook Inc. • MySpace Inc. • Twitter Inc.